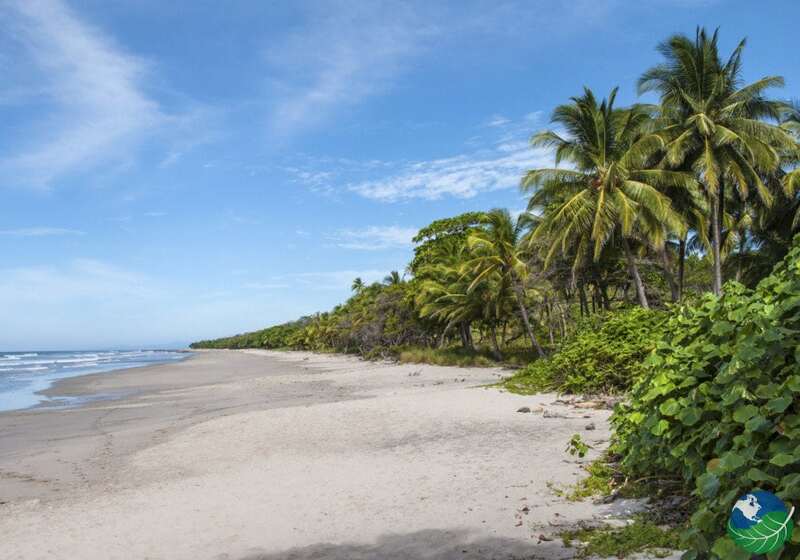 Mal Pais was once a small beachfront village, but now is becoming one of Costa Rica’s most sought-after tourist attractions. The area of Mal Pais Costa Rica is located on the tip of the beautiful Nicoya Peninsula, on the Pacific side of the country. 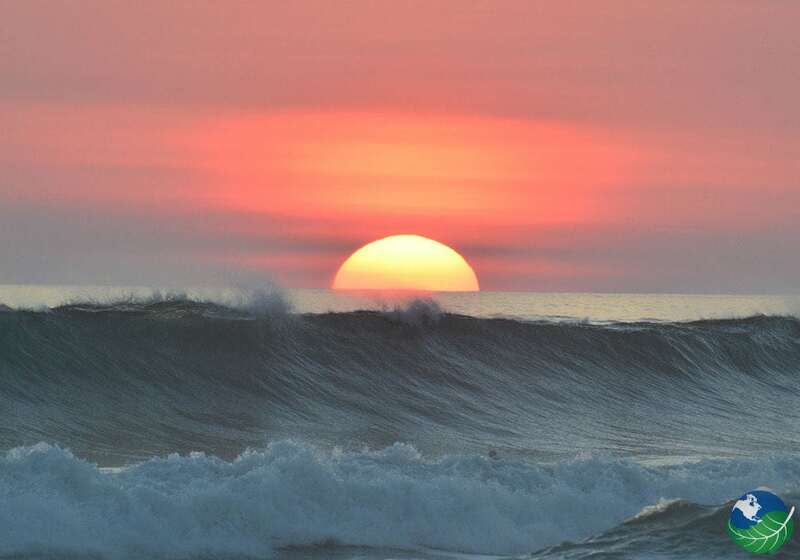 It is a great place to take up surfing, visit a yoga center or just take in the relaxed, laid-back atmosphere. The area may be named ‘bad land’, but is certainly not that by nature. With a long beach break, consistent waves and great swells, Mal Pais is a surfer’s dream. The coast’s dotted with cool bars and restaurants as well as a variety of places to stay for all budgets. 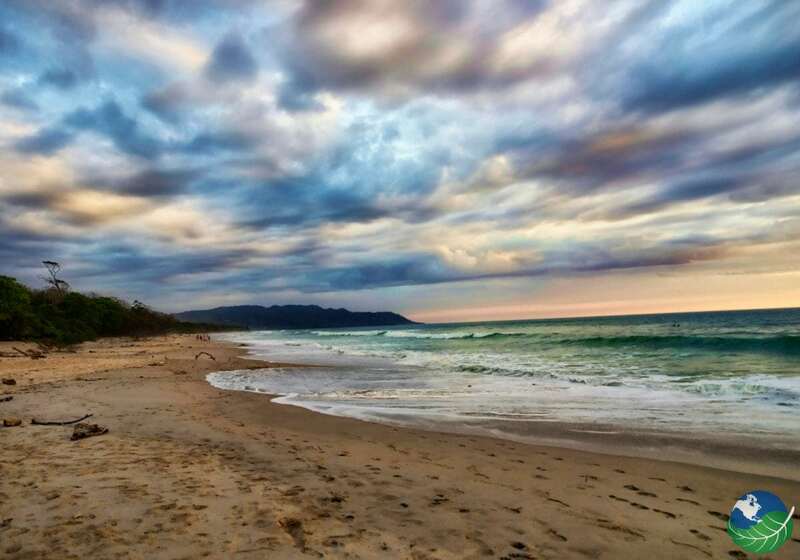 Despite being one of the trendiest places to visit in Costa Rica, Playa Mal Pais is often uncrowded. In fact, Mal Pais is the introverted neighbor of Santa Teresa. Therefor it’s a peaceful spot to spend the day taking in the wonderful surroundings and relaxing in the sun. The beach itself is mainly rocky but with good stretches of sand and surrounded by lush vegetation. Just a few miles north of Playa Mal Pais, is Playa Santa Teresa. This area holds one of Costa Rica’s most renowned beaches, famous for its beauty as well as its amazing surf. This area will be a bit more crowded than the laid-back Map Pais. So after relaxing and finding some peace at Mal Pais, this is the perfect beach for some exciting wave chasing! While surfing rates highly in this Pacific coast area of Costa Rica, there is still plenty to do if you aren’t one for riding the waves. Out of the water, you will find canopy tours, quad biking, mountain biking and horseback riding as well as many opportunities to hike around the area and explore. For birders, the area is an aviary paradise, with the Cabo Blanco National Park just a few kilometers away. The Park also offers magical sightings of whales and dolphins at their celebrated marine sanctuary! Visit between December and March: This is Costa Rica’s dry season! The best time to enjoy some much deserved beach time. Rent a car: If you rent a car, you can explore the rest of the area more freely and enjoy the best Costa Rica has to offer. 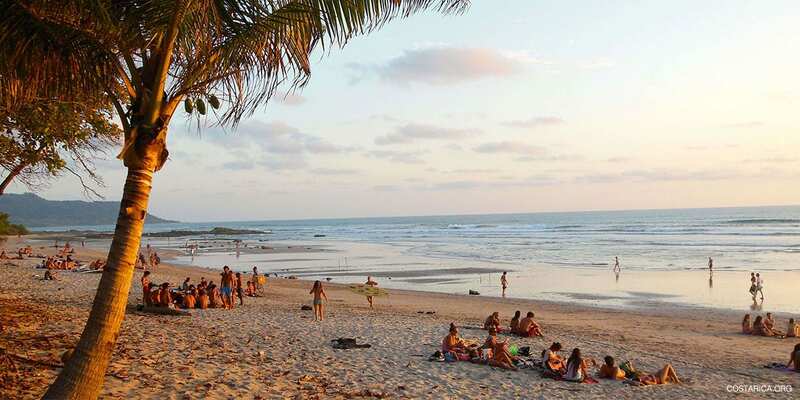 Add some versatility to your trip: You can relax at Mal Pais and surf at Santa Teresa, but that is not everything! Make sure you explore magical places like Cabo Blanco and sport amazing wildlife. Getting there is part of the adventure! Firstly, you can take a ferry from Puntarenas. Or take an hour’s drive from the international airport to Paquera or Playa Naranjo. Lastly, you could fly from San Jose to Tambor in North Puntarenas. From here you can easily drive the remaining 30 km. Driving in Costa Rica is always a thrill. You can fit a lot more in your schedule and can enjoy many of the new roads Costa Rica has worked hard to build. For amazing dishes with vegan and gluten free friendly options, visit Product C. For the non-vegetarians, they also have amazing seafood! If you want to try some local classics, go to Las Caracolas. Make sure to try the traditional Casado for lunch. And for breakfast? Gallo Pinto! The delicious, national dish of Costa Rica. From luxury accommodations to more affordable hotels, Mal Pais, Nicoya Peninsula has something for everyone when it comes to places to stay in Costa Rica. The area has recently become very popular with celebrities. So much so that many have purchased property in the area, a sign of its tranquil haven quality. For an elegant luxury vacation, stay at Hotel Moana. If you are looking for a laid- back Surfer Hotel, Manala Hotel is the choice for you. There are bars, restaurants and frequent parties organized in the area. But for those looking for some peace and quiet, this can always be found in the coves along the beach. 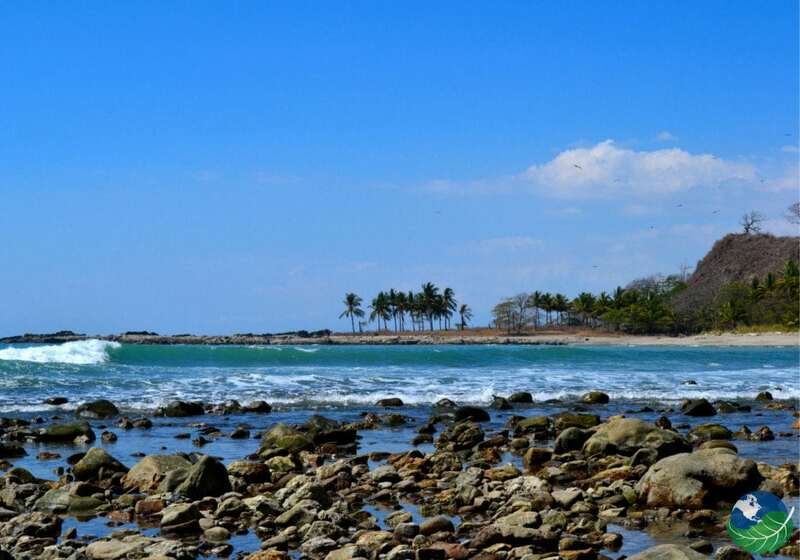 Mal Paid is located on the tip of the Nicoya Peninsula, on the Pacific side of the Costa Rica. Contact us for the best package options in this area! Choose for a charming boutique hotel or a laid-back surfer lodge!